(CHARLESTOWN,NEVIS–FRIDAY, NOVEMBER 19th 2010) Premier of Nevis, Hon. Joseph Parry continued to push forward safety initiatives and underscored the need for continued discourse on the matter. 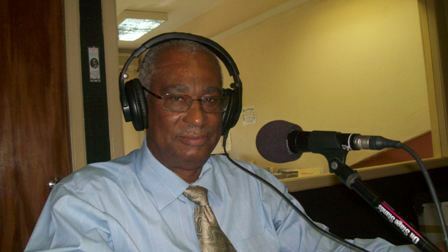 He made the comment on the heels of the recent robbery of tourists in St. Kitts on his weekly radio programme In Touch with the Premier Tuesday. “We strongly condemn this act and continue to regularly address our public safety initiatives, ensuring that Nevis remains an example of safe Caribbean tourism,” said Mr. Joseph Parry, Minister of Tourism. According to the Premier, the Nevis Reformation Party-led Government had developed a number of initiatives to tackle crime on Nevis. Among them the placement of close circuit cameras in strategic points around Charlestown, provided vehicles for the police to increase their patrol capabilities and to enhance their response time to deal with criminal activity; increased and enhanced the number of police barracks on Nevis; facilitated with the availability of bullet proof vests or officers and an increased the police presence around the island. During the programme, the Premier said that at a recent meeting with the Ambassador of Taiwan for St. Kitts and Nevis, the official agreed to secure additional funding for the installation of more surveillance cameras throughout Nevis. “I feel that we need surveillance cameras not only in Charlestown but in the countryside. I also feel that everyone in Nevis need to be more vigilant and monitor strange movements between St. Kitts and Nevis and movements within Nevis itself because if we are to promote tourism and international business investment, crime must be at a minimum,” said the Premier. The Premier said the news of the November 14th robbery which targeted visitors on the sister island of St. Kitts, had saddened the people of Nevis. However, police said investigations into the matter were ongoing and at press time, at least five persons have been formally arrested and charged with the crime. At the time of the incident, the group of 17 visitors from the Celebrity Mercury was on a bus tour at Brimstone Hill. Fortunately, no one was harmed in the unprecedented incident. Last year, over 500,000 cruise passengers safely visited St. Kitts. Meanwhile, Chief Executive Officer of the Nevis Tourism Authority, Mr. John Hanley said Nevis remained a calm island known for its hospitality and warm, friendly people. “Safety is a primary concern for officials from the Nevis Tourism Authority who work diligently to ensure the island is a haven for tourism,” he said.